Wait, what? It has started airing already!? I’m late to the party again… I swear it was yesterday when I read that it was gonna air in half a month or so… Shall squeeze this into my busy schedule during my hiatus! 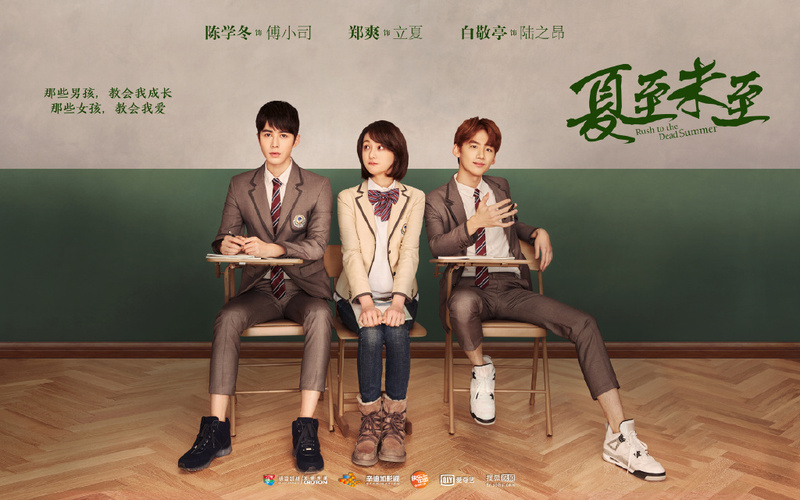 Rush to the Dead Summer is a coming-of-age drama starring Chen Xuedong(The Great Wall) as a talented artist who is later swamped with accusations of plagiarism, Zheng Shuang (Love O2O) as his love interest and Bai Jingting (recently seen on well-received variety show Who’s the Murderer?) as his best friend who is not in love with his girlfriend. The 46 episode drama will begin airing tonight. This entry was posted in x Uncategorized on June 13, 2017 by Kate - skimmedmilkdrama.